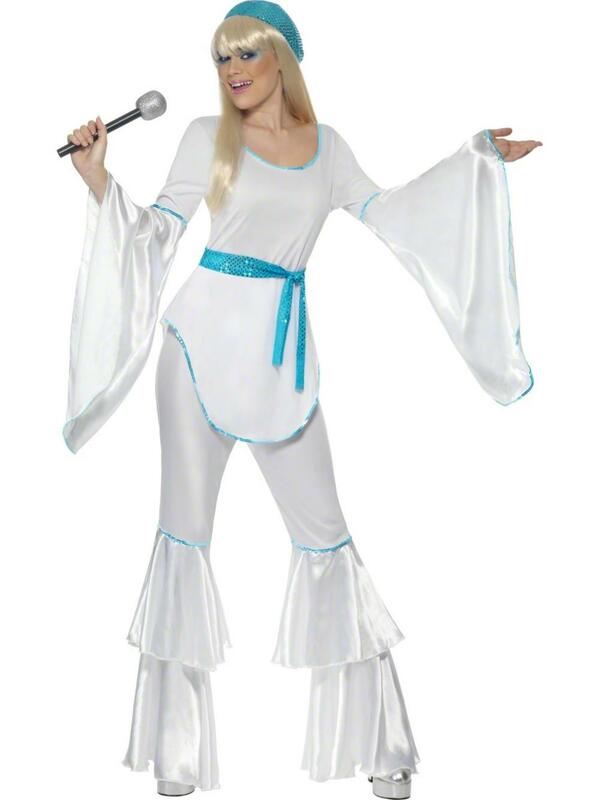 Transform into Agnetha from the 1970s pop band Abba when you wear this gorgeous Ladies' Super Trooper fancy dress costume. 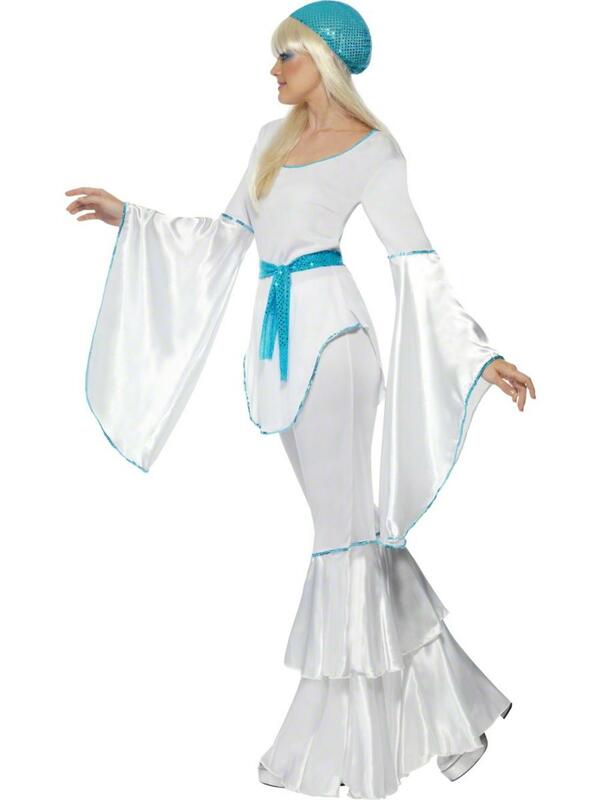 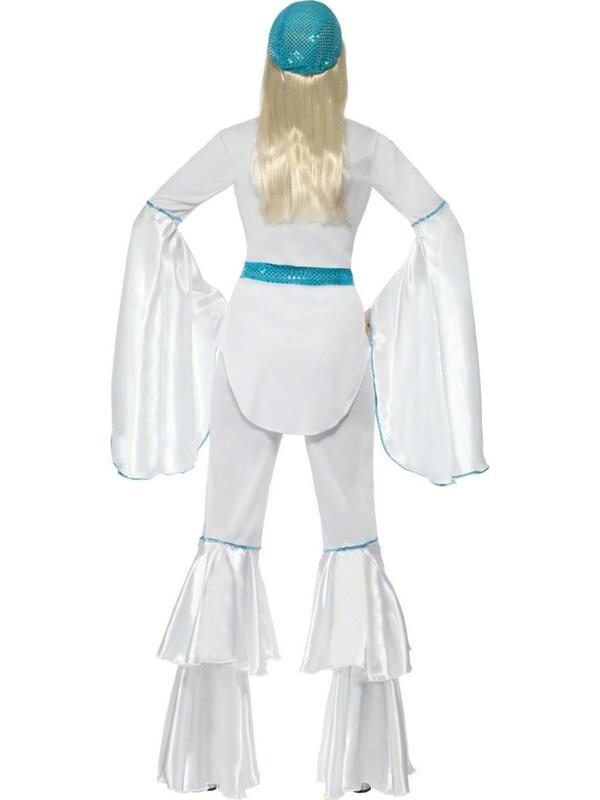 The women's 70s costume comprises of a white low cut top with fabulous large flared sleeves styled with a sparkly blue trim and a blue sequin belt tie. 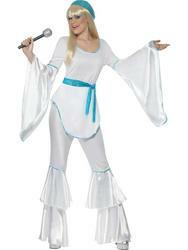 Completing this seventies chic outfit is a pair of matching two tier ruffle flared trousers and a blue sequin hat. 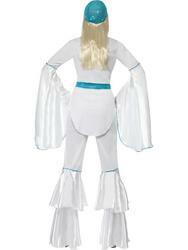 Fantastic for 70s, Disco or Abba themed fancy dress parties.